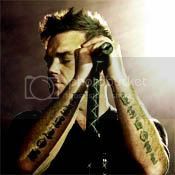 Robbie Williams Spain • Que estais escuchando? Stacie Orrico - Is it me? Phoenix from the Flames-->Robbie W.